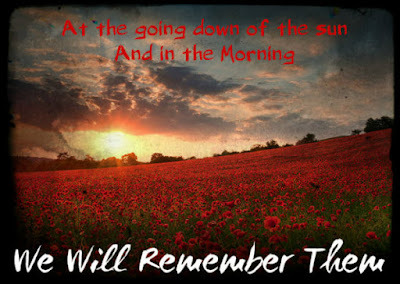 Today, exactly one hundred years ago, World War I ended. 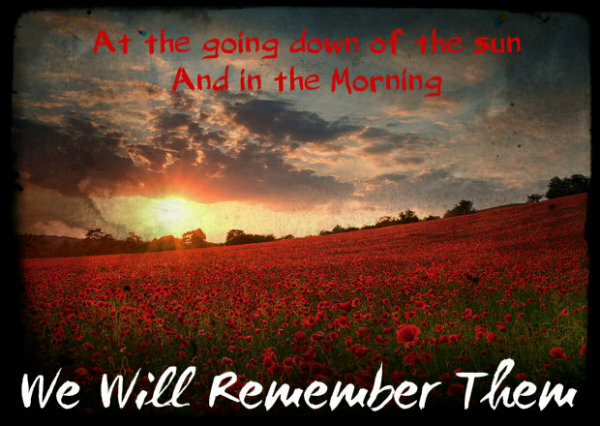 The guns along the Western Front fell silent after four years of fighting - Armistice was declared. The appropriate time now has also come to finish this weblog on the American films and cameramen of the Great War. On behalf of fellow authors Cooper Graham and Jim Castellan, thank you all very much for your interest, comments and enthusiastic support of our film historical research! For this final weblog here is a reproduction of a post that was published in November 2017 by the International Association for Media and History (IAMHIST) on their website. 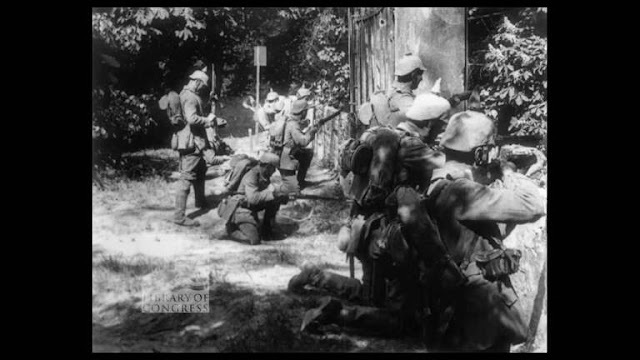 "Researching World War I On Film"
The centennial of the First World War has brought about a renewed public interest in this major military conflict. When I first visited Belgium as a history student in the 1980s there were still veterans around who had been in the trenches. They were there to hear the Last Post under the Menin Gate, and I remember vividly how impressed I was by the ceremony and the sight of all these names of the soldiers who had found an anonymous grave in the Ypres Salient. As the saying goes ‘Old soldiers never die, they simply fade away’. It is the same with the films of the Great War. Stored on highly flammable nitrate stock, the film legacy of World War I presents scholars and film fans all over the world with an amazing historical source. The footage to be sure is slowly fading away. Unless preserved on safety stock or digitized we are losing by decomposition an invaluable part of our cultural heritage. I recall the first time I went into the nitrate vaults of the Library of Congress in Culpeper, Virginia, with my esteemed fellow author Cooper Graham, looking for lost film of this war. I was feeling like a kid in a candy store. In one of the cans we found footage mentioning The German Side of the War, a movie that had been produced by the Chicago Tribune in 1915. When reeling that film on a viewer we found ourselves in underground bunkers on the Eastern Front, and that’s when we discovered the film had been misplaced. We were looking at a completely different film that was shot by Albert K. Dawson, cameraman with the Austro-Hungarian army! My fascination with these old war films started when as a history student I first read Kevin Brownlow’s book The War, the West and the Wilderness. Kevin is one of the first historians to research World War I films. He also was fortunate enough to interview some of the cameramen who recorded the Great War, at a time when they were still around. We dedicated our book American Cinematographers in the Great War to Kevin Brownlow because as film historians we all stand on his shoulders. These war pictures, as described by Brownlow, were a window on a different world. This was a time when cars and planes were the latest thing, when women could not vote, when it took ten days to cross the Atlantic, when trench warfare devastated a way of life that belonged to the 19th century. Despite the static shots and primitive camera technique these films and newsreels are truly mesmerizing. The First World War was a modern war that surprised all combatants as well as the people at the home front just because it was so ‘modern’. It was also the first modern media war. Film propaganda was not invented by Goebbels but by Wellington House, UFA and the Committee on Public Information in America. Admittedly, wars had been filmed before 1914 but this was the first time in history when the huge publicity potential of this young medium was discovered and exploited. As I dug deeper into my film research, together with my American colleagues Cooper Graham and Jim Castellan, I also got intrigued by one simple question: how did these guys do it? How did they manage lugging these cumbersome movie cameras with tripod and all to the battlefield? How did they deal with censors, military red tape and the risks of having their movie camera mistaken for the equipment of an artillery spotter? Why did they even run the risk of becoming a prime target? We were on uncharted territory basically, as most of these cameramen – like the soldiers of World War I – had slowly faded away. We interviewed relatives in the U.S. and many of them did not even know that their Granddad had been a cameraman in World War I. But the stories that we found on their photographic work and their life are definitely worth preserving, just like their films. In some rare instances we could even match their personal story with the pictures that they made at the front. It’s a strange experience to watch a movie that was made one hundred years ago, as seen through the eyes of the cameraman you get to know so well. As a writer you feel transported back in time. For a brief moment you become the cameraman. 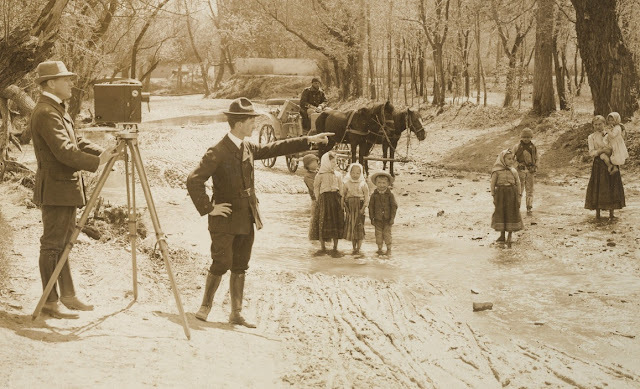 Just like these cameramen who had been pioneers in their trade – the first film correspondents – we had to start most of our film research from scratch. I should give proper credits here to Cooper and Jim for their outstanding work on reconstructing Wilbur H. Durborough’s feature film, On the Firing Line with the Germans, a unique film report made during the German drive on the Eastern Front in 1915. By using the paper roll collection at the Library of Congress they managed to identify each separate scene from that movie. 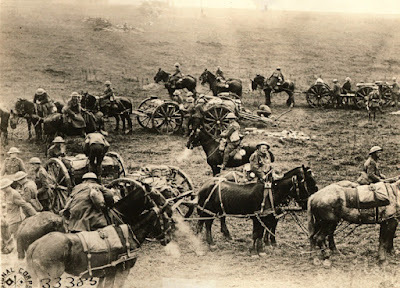 The next step was finding scenes missing from known Durborough film in TV documentaries and the World War I Signal Corps collection at the National Archives. The last step was piecing them all together in the right order. This is another aspect of this kind of film research: how to piece all of these segments together? World War I film research is a giant jigsaw puzzle because a lot of contemporary footage has been recycled or cut into stock footage. It takes a lot of patience to get the bigger picture. The last years researching World War I film have been a great ride. We have brought back on the screen Durborough’s war film which has been wonderfully restored by the Library of Congress. The premiere at the film festival of Pordenone together with Kevin Brownlow as a special guest was just great. This kind of film research never really stops, so after publishing our books and articles we started a weblog Shooting the Great War which has the latest updates on World War I cameramen and films that we have found and identified. The blog has over 200,000 views. So, we definitely have an audience out there! Ron van Dopperen studied history at the University of Utrecht (Holland) where he wrote his Master of Arts Thesis on the American World War I documentary films. Since 2011 he publishes on World War I film, starting with a series of articles for Film History journal. He is also co-author together with Cooper C. Graham of Shooting the Great War: Albert Dawson and the American Correspondent Film Company (2013) and together with Jim Castellan and Cooper Graham of American Cinematographers in the Great War (2014) which was sponsored by the Pordenone Silent Film Festival. 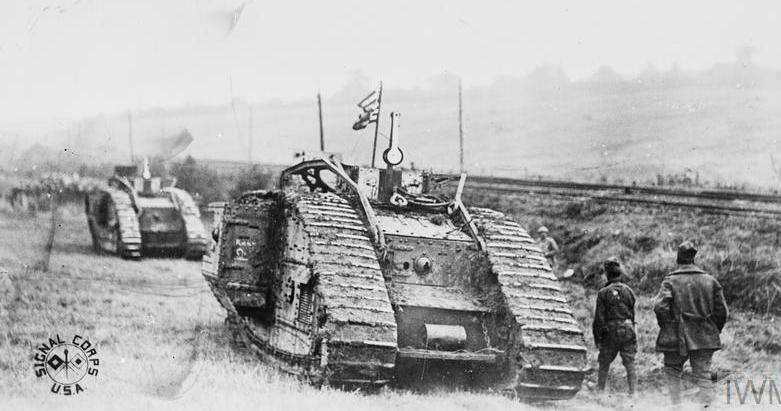 Having taken the Hindenburg Line two American Divisions as part of the British Fourth Army participated in the final stage of World War I. Against heavy German resistance the American soldiers charged across open country and crossed the river Selle on October 17, 1918. While filming the breakthrough Sergeant Granville Howe, motion picture cameraman attached to the 30th Division (American Expeditionary Force), was wounded. According to a report by the Chief Signal Officer from 1919, seven American cameramen were wounded during the First World War while taking pictures at the front. Details of what happened to these official military photographers are very hard to find. Also, pictures showing the actual moment they were hit by enemy fire are extremely rare. As a result, we were amazed to find a photograph recently in the collection of the National Archives, showing such a moment. A group of American soldiers can be seen taking cover while a shell explodes nearby. The caption mentions an American movie cameraman who was wounded, as well as some British soldiers. Note the railroad track in the right corner on the foreground. This detail among other things later made it possible to substantiate the report on what happened on October 17, 1918. The caption has a fixed date and location, but we initially had no clue about the identity of the photographer who took this picture, as well as the cameraman who got wounded. Until Harry Kidd helped us out, and supplied us with a copy of the original print that was cleared by the A.E.F. censors shortly after the Armistice. As it turns out, the picture was taken by Lt. Edward N. Jackson, photographic officer with the 27th Division. Jackson featured before in an earlier weblog, and we also mentioned him briefly in our book American Cinematographers in the Great War. He was a press photographer from New York and had a major scoop with his pictures of the Peace Treaty at Versailles in 1919. Harry's invaluable input gave us the lead we were hoping for. Jackson wrote a personal account on his experiences during the First World War. As quoted by Joseph J. Caro in his book On Assignment: The Great War, Jackson reported how he and his fellow cameramen were attached to the 30th Division in September 1918. This made perfect sense, as both American units - the 27th and the 30th Divison - were under British command and collaborated closely during the final attack on the German lines. "Now the soldiers were out of the trenches, fighting in the open. The enemy was in slow retreat. It was nuts for us! We were in a picture man's paradise! Something worthwhile photographically, was happening every minute! .... This was all like a photographer's dream - and a soldier's nightmare. Picture on picture of roaring, thundering action flashed all around us. You couldn't shoot it all; you could hardly should any, especially when you are being shot at yourself. We were warned not to show ourselves in the open fields too much because we would draw fire from the enemy." "... By this time St. Souplet was being pounded to complete ruins. Buildings were on fire, and clouds of smoke and flames shot up over the little town. Many tanks were coming up now. The one with the American flag was far in advance, plowing steadily on. What a sight to see! "Gosh, that was a whopper! ", Bennett [Jackson's camera assistant ] shouted, as shells continued to fall all around us. Artillery horses near our guns started to stampede and men sought refuge near the railroad tracks. I turned to see what luck Howe was having with his movie machine and saw him step away from the tripod mounted camera. His mouth was stretched wide, his teeth flashing. For a brief second I thought he was grinning at something. Then I saw his face was distorted in pain! Bennett and I caught him as he fell and we carried him over the railroad tracks to a safe field. A hasty examination revealed that he had shrapnel wounds in both legs. He was bleeding badly. Calling for help, some English soldiers came and carried Howe to a first aid station on the other side of town. I never saw him again but heard he was sent home to Chicago soon after." Jackson was right about Howe's return to Chicago, but it wasn't until January 22, 1919, when he departed from France. It evidently took some time before his wounds were healed well enough, so he could be shipped back to the United States. The information on Howe's life and work remains somewhat sketchy. Born in Tiffin, Ohio, in 1876, Howe started working as a photographer in the Chicago area. When America entered World War I he joined the U.S. Signal Corps and he was assigned to the American Expeditionary Force. He sailed from Hoboken, New Jersey, on the military transport ship SS Covington on June 15, 1918. Shortly after his arrival in France Howe must have been assigned to the 27th Division, and his camera covered most of the major campaigns by the 27th and the 30th Division. In the collection of the National Archives we found a contemporary report mentioning Howe's extraordinary work as a motion picture cameraman. He was cited for bravery in having taken pictures under heavy shell and machine gun fire during all of the operations that he witnessed at the Western Front. After the First World War Howe worked as chief cameraman for Otto A. Brinner in Chicago. The Brinner Film Company specialized in topical movies and newsreel productions. Granville Howe died in Chicago on July 8, 1945.